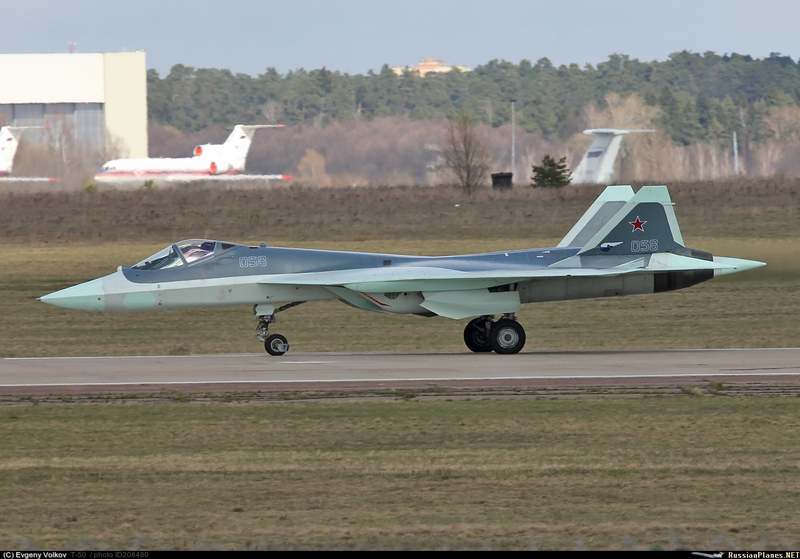 New PAK FA with new avionics and new engines. GuardianRED, AbRaj and Gessler like this. Russian vechicles enter in Efrin, Syria. April 29, 2017: Russia is discovering that reviving the quality and diversity of their Soviet era air force is becoming unachievable because the money, and the talent, is simply not there and is unlikely to be available in the foreseeable future. Case in point is the effort to revive their heavy bomber fleet. In early 2016 the government was still confident they could start production of a much improved Tu-160 and refurbish the few original ones still flying. Now defense officials are admitting the 2016 plan is not going to work and for the usual reasons; not enough money and inability to manufacture all the high-tech components (especially engines) needed. The money shortage is easy to understand but the talent shortage is somewhat unique to Russia. During the Soviet period Russia was very much a dictatorship with literally everyone and every aspect of their lives subject to the “needs of the state.” That meant Russia could order the most talented engineers, scientists and production specialists to work on weapons. These chosen ones received benefits that made life easier and that worked for a few generations until it didn’t. After the Soviet Union was dissolved in 1991 Russia underwent a second “freeing of the serfs” (the first was in the 1860s). People were free to move around, leave the country and seek better jobs wherever they could. Russian defense industries have still not recovered from the shock of losing so many of their talent. After that there were far more attractive non-defense jobs for talented people. Thus the 2016 heavy bomber plan tried to deal with this new situation with a more realistic approach. The plan was mainly about building fifty of a much upgraded Tu-160 called the Tu-160M2. The first one of these is supposed to fly in 2019. The major improvements were the electronics plus less extensive mechanical upgrades to make the aircraft easier to maintain and extend its useful life (in terms of flight hours). This included efforts to make the engines more efficient and reliable. But now the first 160M2 may not fly until 2020 or later. This is the third time Russia announced revival of Tu-160 production. Back in 2006 fourteen new aircraft were to be built. That plan was canceled in 2013 with the admission that it was too expensive. Instead a new heavy bomber design (the PAK-DA) was to be developed and put into service by the late 2020s. This was driven by the fact that existing Tu-160s were getting old and thus more expensive to maintain. It was soon discovered that the PAK-DA would be too expensive as well and difficult to get into service before the existing Tu-160s had to be retired. Desperate for a solution and faced with growing economic problems a new Tu-160 plan was devised. The Tu-160M2 is described as looking similar to existing Tu-160s but being the equivalent of a new bomber design because of all the improvements. Officials admit that this M2 model is very different from the original and much more effective. But the 2017 plan delays introduction of the M2 model until the mid-2020s and possibly with fewer than fifty being built. This is risky because enough M2s have to be built to deal with the cost of rebuilding assembly plants and manufacturing (and developing) key components, like engines. Russia has always had problems with high-performance military jet engines. Aside from prestige, the existing Tu-160s are believed worth replacing because Russia has discovered that such an aircraft provides some unique options. 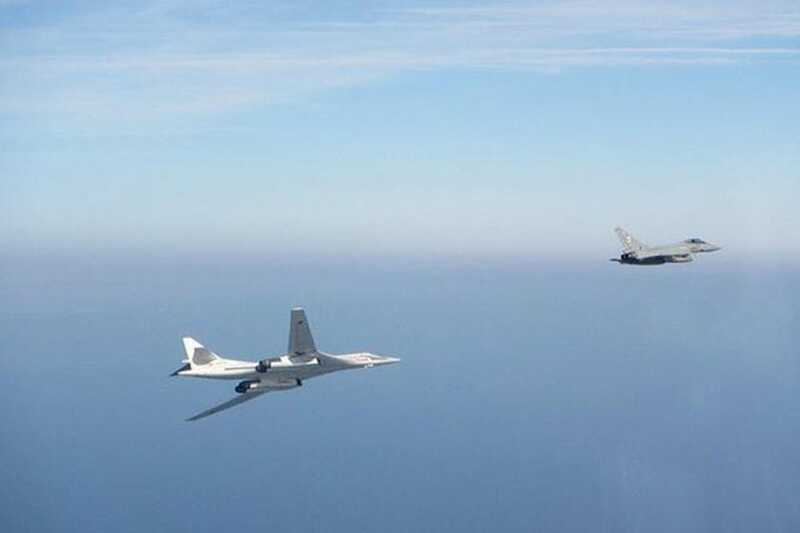 For example back in 2010 two Tu-160s made a record 23 hour long, 18,000 kilometer flight around the periphery of Russia. This required two in-flight refuelings from Il-78 tankers. This feat was nothing new. Back in 2009, a Tu-160 completed a 21 hour flight across the country. In 2008 and 2013 pairs of Tu-160s flew from Russia to Venezuela. Although designed as a heavy bomber, the Tu-160 has largely been used, in the last few years, as a long range reconnaissance aircraft meant more to intimidate than gather information. But even in that role the Tu-160 can still carry cruise missiles and other air-to-ground weapons. In an emergency the Tu-160s can be sent long distances to deliver tons of smart bombs and guided missiles. Given the vast size of Russia this is seen as the one real military function of the Tu-160. A major reason for cancelling production of new Tu-160s in 2013 was the inability to obtain affordable engines. The engine manufacturer pointed out that they needed more orders (than those for 14 new aircraft) in order to keep the Tu-160 engine manufacturing going at a profitable (and affordable, to the air force) rate. Back in 2011 the Russian Air Force found that they could not order enough Tu-160 replacement engines to keep the engine factory going and even producing 14 new aircraft did not solve that problem. For current aircraft the air force only needed about five NK-32 engines a year. Each Tu-160 is fitted with four of these 3.5 ton engines. Most of these engines were built 10-20 years ago and have been overhauled several times. After a while these engines cannot be refurbished anymore and that's why some new ones were needed. But the manufacturer insisted the smallest economical annual production was twenty engines. Otherwise, the price per engine for five a year would be more than the government was willing to pay. One solution was to increase the number of Tu-160s in service. All of the newly manufactured Tu-160s would need engines, and with more Tu-160s in service the engine factory would get enough orders to make it economically worthwhile to themselves and the air force. Now the air force planners seem to have sorted out the needs of the engine manufacturer by ordering fifty new Tu-160M2s. The 200 engines needed for those aircraft plus replacement engines for existing Tu-160s means the manufacturer is assured more than a decade of profitable production. This provides cash for improving the quality and life span of the engines. But like many clever plans the Tu-160M2 effort is unravelling. The Tu-160 "Blackjack" is very similar to the 216 ton American B-1B but the Russian aircraft never really lived up to its potential. Still, it is the most modern heavy bomber the Russians have. It's a 267 ton aircraft that can carry up to 40 tons of bombs and missiles for up to 12,000 kilometers. The aircraft can refuel in the air. It originally entered service in 1987, and was built mainly to deliver cruise missiles. Noting the success of the B-1 in Afghanistan and Iraq with smart bombs, the Tu-160s were modified to do the same, in addition to retaining their cruise missile carrying capability. The upgrade to the Tu-160M standard takes about 18 months and cost $35 million per aircraft. The new model has more reliable engines, some stealth capability (because of radar absorbing material on the exterior), and improved electronics (including the ability to use just about every aircraft missile in the Russian arsenal). Upgrades of the first three Tu-160s began in 2013, and all upgrades of all ten are to be completed by the end of 2015. The existing Tu-160s have proved quite capable. The air force generals believe the Tu-160 is a valuable asset and worth keeping in service. But obtaining spare parts from the post-Cold War Russian defense industries is very difficult. Many of the Cold War era firms are bankrupt and the survivors often don't produce the quality stuff they used to. Fighters on low attitude in Moscow. Agent_47, YarS and GuardianRED like this. May 12, 2017: In early 2017 Russia confirmed that Egypt has ordered fifty MiG29M fighters with the first of them arriving by the end of 2017. Russia has offered to supply Egypt with MiG-29M jet fighters in 2015 but there were questions about financing. Egypt is broke and dependent on gifts of cash and oil from the Arab oil states just to keep going. Apparently Saudi Arabia or some other Gulf Oil state helped arrange the $2 billion to pay for the MiG-29s in a deal that includes training and maintenance support. This is actually a favor to Russia but the Russians have been trying to get closer to their Cold War Arab arms customers and this sort of thing helps. The Egyptian sales is also essential to the survival of a key part of the Russian defense industry. Russia has been taking desperate measures to keep the MiG company in business and their main product, the MiG-29, in production. 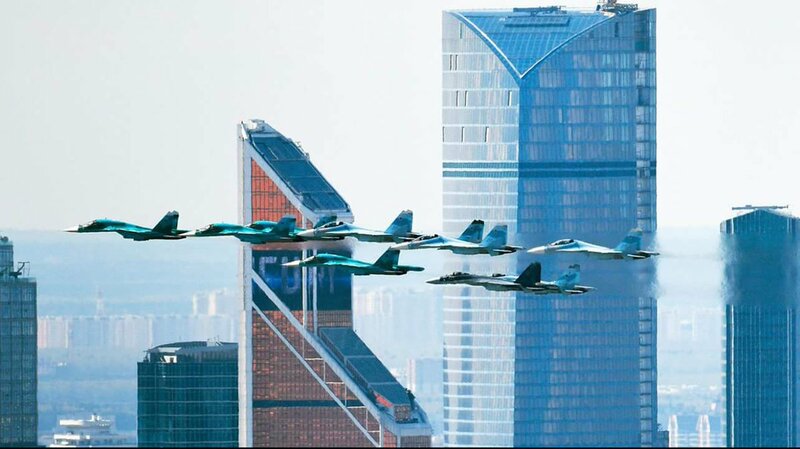 The problem is that the MiG-29 is outclassed by the rival Su-27/30 aircraft from Sukhoi. Even foreign users have openly complained that the MiG-29 is too expensive to maintain. It costs about $5 million a year, per aircraft, to keep them going. Most of the MiG-29s provided satisfactory service but nations that also operate Western aircraft, like the F-16, are able to compare Russian and American warplanes. The Russian aircraft cost less than half as much as their American counterparts but require highly trained pilots to perform anything like Western fighters. The MiG-29 entered Russian service in 1983. Some 1,600 MiG-29s have been produced so far, with about 900 of them exported. The 22 ton aircraft is roughly comparable to the F-16 but it depends a lot on which version of either aircraft you are talking about. Russia is making a lot of money upgrading MiG-29s. Not just adding new electronics but also making the airframe more robust. The MiG-29 was originally rated at 2,500 total flight hours. At that time (early 80s), Russia expected MiG-29s to fly about a hundred or so hours a year. India, for example, flew them at nearly twice that rate, as did Malaysia. 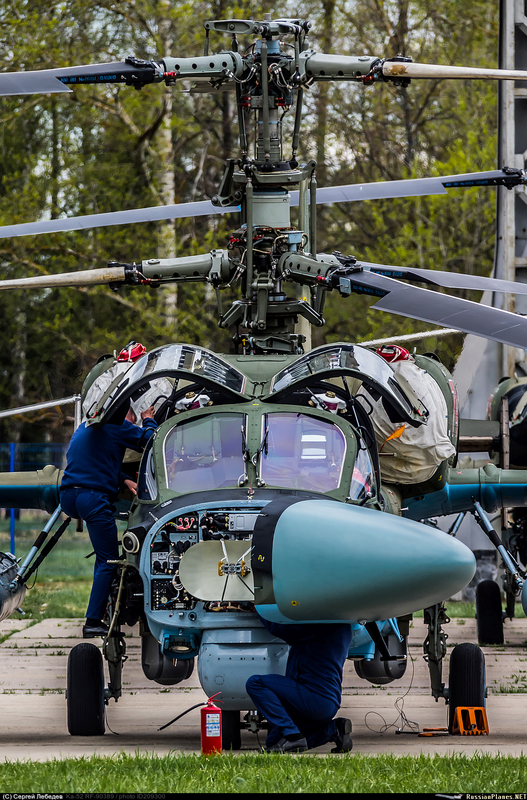 So now Russia offers to spiff up the airframe so that the aircraft can fly up to 4,000 hours, with more life extension upgrades promised. This wasn't easy, as the MiG-29 has a history of unreliability and premature breakdowns (both mechanical and electronic). To counter that reputation Russia is sending the latest model of the MiG-29 to Egypt. This one has a more powerful and reliable RD-33MK engine and improved electronics including updated radar and flight controls. The Egyptian Air Force currently has over 200 F-16s, a hundred French Mirage 5 and 2000 fighters and 24 new Rafale fighters. There are still about fifty Cold War era MiG-21s flying for Egypt but these are being phased out. "t doesn’t seem like we're fighting something big, just some alcoholics and homeless guys," 1st Lt. Alexey Chaban, of the Ukrainian army's 17th Tank Brigade, told War Is Boring. "Despite the fact that there are Russian soldiers fighting us, they don't have experience and make huge mistakes. Dying by the hundreds — they're not even real fighters." A good news for USA. Way I see it Putin is in a bind, he needs confrontation to maintain political support, but Russia has given up the idea of winning a conflict militarily or economically or idealogical with the USA years ago. Yes...after dissolution of USSR, the cold war came to an end and Russia is not economically a superpower anymore. But with the most number of nuclear warheads and advanced missile systems, It still finds its place after US when it comes to military superpowers. It is not "news". It is just a wet maiden dreams of stupid russophobes. Nothing more. 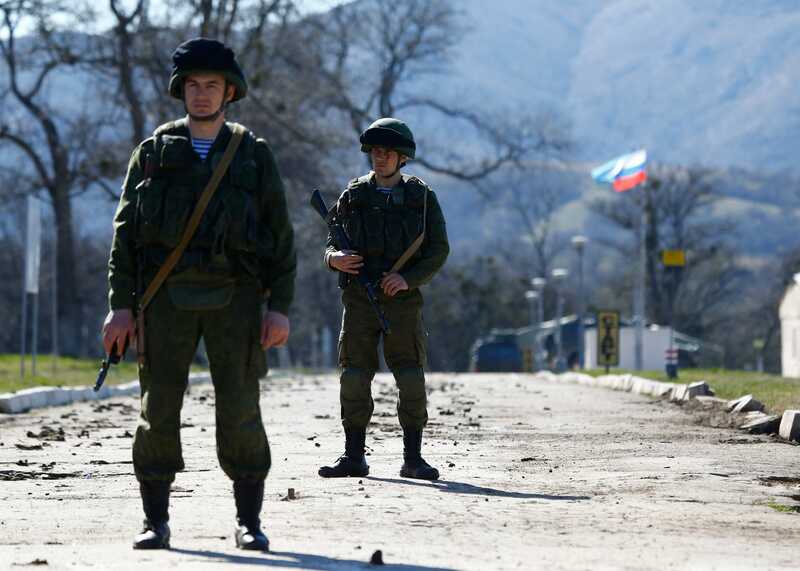 Russian conscripts are better trained, motivated, more strong and healthy that "profies" from many other countries. But Russian economy is too weak. Russia can't claim to be a superpower anymore. Even one of its neighbors 'China' has surpassed Russia in terms of 'Power'. World's politics is all about power dynamics, it's a powerful game. Averageamerican and kaku like this. But Russian economy is too weak. Russia can't claim to be a superpower anymore. Even one of its neighbors 'China' has surpassed Russia in terms of 'Power'. World's politics is all about power dynamics, it's a powerful game.